Q: Did the "roaming gnome" originate here? A year ago, if someone would have asked me "What is your favorite movie ?" , I would not have known what to answer exactly, maybe Fight Club, maybe Vertigo, Indiana Jones even would have come to my mind. 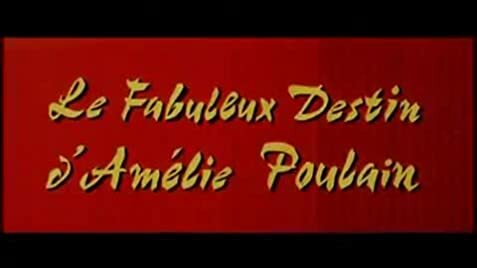 Since June, I have but one answer: 'Le fabuleux destin d'Amélie Poulain' !!! It is simply unique in his kind. And now it has come out in the US, I am a bit frightened, because everybody there describes it as a simple 'feel-good movie'. It is so much more than that ! Never before has a movie INFLUENCED my life in such a way. Audrey's performance is simply stunning... she plays with an innocence, a wit, a smartness and naïvity that even someone with 40 years experience could not have done better. (please, will someone give an oscar to that girl, she makes Kidman & Blanchett look pale :-) The score from Yann Tiersen is so beautiful that by now I'm addicted to it ( I read here somewhere something about 'accordeon jingle', please, get some education ;-). The story itself could easily have been abused, and I'm sure that if Hollywood had made this movie, it would have been ridiculous, but now it is a beauty, a pearl amidst broken hearts. This movie is for everyone who understands passion or who has lost his/her childhood somewhere along the way. If you love art & music, sunshine & poetry than you are qualified for seeing this movie, be warned though...this movie can change your life (and maybe..it will ;-)! 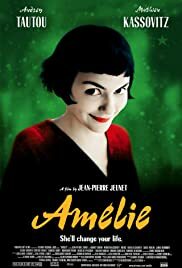 Audrey is superb, Matthieu is better than himself, every actor gives a stunning performance, the scenery is beautiful, the whole movie is amusing, entertaining and charming, even CGI is perfectly done ! 10 out of 10 !!! 240 of 288 people found this review helpful. Was this review helpful to you?